Lockport gasoline averages stayed the same at $2.610 per gallon, according to AAA East Central’s weekly Gas Price Report. Four states across the Mid-Atlantic and Northeast region are paying some of the most expensive gasoline in the country; Pennsylvania ($2.71), Washington, D.C. ($2.68), Connecticut ($2.65), and New York ($2.63). 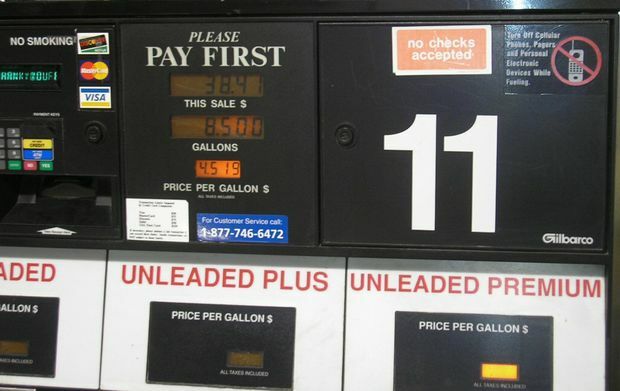 Still, gas prices decreased on the week across the region. Building by 750,000 barrels, gasoline inventories increased for a fifth consecutive week and register at 59 million barrels, which is the highest level in four months. On the week, the national average dropped three cents to $2.43 – 12 cents cheaper than one month ago, but 20 cents more per gallon than this time last year. Weekly gasoline inventories increased by an astonishing 5.7 million barrels, according to the latest Energy Information Administration (EIA) report. AAA projects that more than 107 million Americans will travel more than fifty miles away from home for the holidays (December 23-January 1). For the 97.4 million traveling by car, gasoline has the potential to drop. The increase in supply combined with so-far weaker winter demand and seasonal gasoline trends could pave the way for even cheaper winter gas prices in the coming weeks, barring any unforeseen circumstances.